10. Texas TribCast gotta keep track of my state politics! 8. Snap Judgement there’s nothing like a great story to pass the time! Check out one of my favorite recent episodes, Lives on Atlas Peak, amazing sound design that brought me back to my previous job as an army helicopter pilot. 7. Jordan Harbinger I used to listen to “Art of Charm” and was quite confused back in February 2018 when Jordan’s voice changed, but then a few weeks later I realized he had moved shows and I’m loving this new show even more. Builds on all the leadership I was taught in the US Army and through my MBA, mostly how to be a better person. 6. News in Slow Italian & News in Slow French by NewsInSlow.Com in my earlier days I was semi-literate in both French and Italian. It does good for the imagination to walk around a vineyard listening to anything in French or Italian, but I gotta warn you, the stories about POTUS don’t get more romantic just because they’re in a romance launguage! 5. Brains On! and Wow in the World when #Wineryboy is with me, this is what we listen to and we both learn so much about science, technology and so much more. 4. 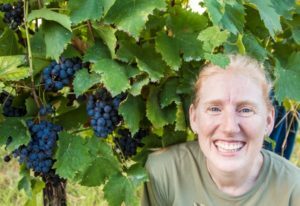 Unladylike feminists rule in our vineyard! 1. One Bad Mother it’s about parenting and it saved my life! It is like having a best friend in your ear. It’s that time of year again! Birds are starting to peck grapes and so we have installed the nets. 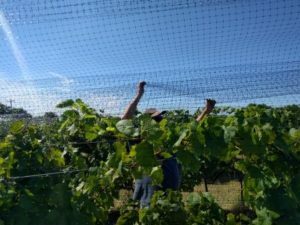 It takes most of the morning to stretch the nets out over the vines. then t takes me about 3 days to close them all up. Then I wrap the outside layer in a double layer of recycled netting. This still does not eliminate animal damage, but at least it slows down the birds. They still peck fruit that is near the netting, and the nets do little to stop raccoons and possums, but the nets can also slow down the deer who jump the fence. Texas storms can mean hail and we have seen some at our vineyard this spring. This picture shows some minor damage that our vines suffered on April 10, 2017 in the mid-afternoon. As you can see, the hail tore small bits of leaves, but luckily the grapes and grapevines did not sustain any damage. We’ve got some vigorous vines and they will keep on growing just fine. Some of our friends in the Texas High Plains were hit by hail recently as well. Clearly the storm that hit them was much more severe than ours! 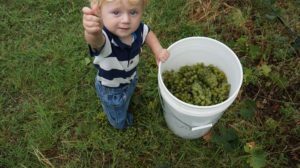 One last chance this year to harvest grapes! Our Cabernet Sauvignon harvest will be Saturday, September 3. 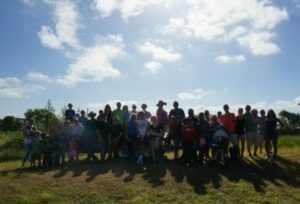 The vineyard is at 21724 Hill Road, Salado, TX, 76571. Exit 279 I-35 and we’re just a quarter mile up Hill Road on the east side of I-35. The vineyard is on the right side of Hill Road. You’ll see the vines from the road! We will start bright and early at 7 am and go until all the grapes are picked, usually before noon. Wear comfortable, cool clothing. You’ll want to bring a hat, sunscreen, bug spray, and lots of water to start with. We’ll provide everything else you need, including more cold water. If you have a favorite pair of pruners feel free to bring them, but we’ll have plenty for you. We recommend tennis shoes because sometimes there is stinging nettle or a hidden ant mound but you can wear sandals if you like. Sometimes folks like to wear light cotton gloves to protect your manicure or help prevent wasp stings, but there are no thorns on grape vines. 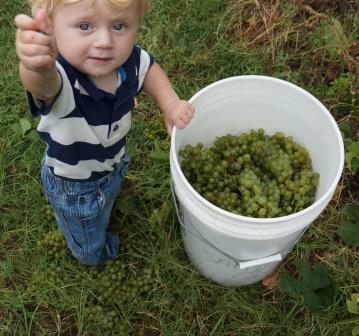 Harvest is family friendly, so feel free to bring the kiddos…#Wineryboy has been picking grapes since he was 1! After harvest in the morning, you can join us at the winery to watch grape processing. The grapes will be de-stemmed and crushed using a machine then prepared for fermentation. If you’re coming, text your RSVP to 254.466.5813 or RSVP on Facebook. Our friends at Hecho en Queso will be out at the vineyard until 10:30 or 11 the morning of Cab Sauv harvest, September 3. 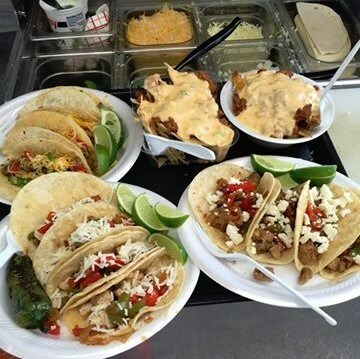 They’ll be serving up breakfast tacos and more, so make sure to come ready to eat! watch out! it is going over! Hey there, I wanted to give you a quick report of how things are going around here. I don’t have long–if you look closely at that picture, you’ll see that malbec there is about to “boil over” and ferment right on out of that barrel! 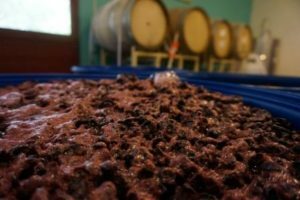 This week I’ve got 1.5 tons of malbec fermenting from Temple, TX and .75 tons of merlot from our Salado vineyard fermenting. We have already fermented the chardonnay, sangiovese and tempranillo. So what’s left? CABERNET SAUVINGNON! Next weekend, Saturday, August 20, our friends at 3 Texans Vineyard will harvest their cab. 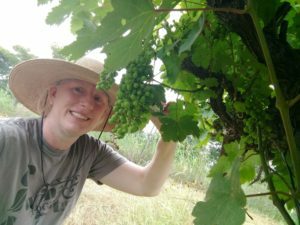 Follow the link and give them a holler if you would like to harvest grapes with them. They are near Temple, Texas. I haven’t even scheduled the harvest of our cab yet. 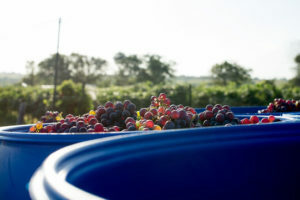 The weather is calling for a bit cooler temperatures, so hopefully that will help the plants ripen those grapes some more. I will let you know soon, but probably harvest August 27 or September 3, 2016. Well, that’s all for now, I’ve got some punching to do! https://saladowinery.com/wp-content/uploads/2016/08/2016-malbec.jpg 298 448 saladowine https://saladowinery.com/wp-content/uploads/2016/08/HeaderLogo_Color-1.png saladowine2016-08-14 20:10:022017-03-02 21:20:12Halfway through Harvest 2016! The harvest season is already half over and our plans have changed some. The chardonnay and the sangiovese was harvested July 30th. 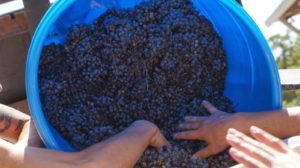 The merlot harvest has been pushed back to August 13 and the Cabernet Sauvignon might be ready before Thanksgiving! Here is the plan as of August 1, 2016. The vineyard is at 21724 Hill Road, Salado, TX, 76571. Exit 279 off I-35 and we’re just a quarter-mile up Hill Road on the East side of I-35. The vineyard is on the right side of Hill Road. You’ll see the vines from the road! We will start bright and early at 7 am and go until all the grapes are picked, usually before noon. Wear comfortable, cool clothing. You’ll want to bring a hat, sunscreen, bug spray, and lots of water to start with. We’ll provide everything else you need, including more cold water. If you have a favorite pair of pruners feel free to bring them, but we’ll have plenty for you. We recommend tennis shoes because sometimes there is stinging nettle or a hidden ant mound but you can wear sandals if you like. 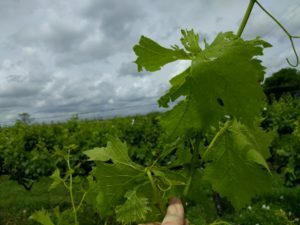 Sometimes folks like to wear light cotton gloves to protect their manicure or help prevent wasp stings, but there are no thorns on grape vines. 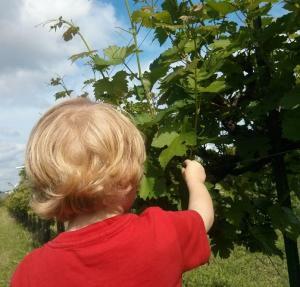 Harvest is family friendly, so feel free to bring the kiddos…Dino has been picking grapes since he was 1! After harvest in the morning, you can join us at the winery to watch grape processing. Our grapes will be de-stemmed and crushed using a machine then the chardonnay will be pressed and red grapes will be prepared for fermentation. If you’re coming, text your RSVP to 254.466.5813 or RSVP on the Facebook event pages (links below), and we’ll let you know if the plan changes. Otherwise, see you there! Sign up online here so we know how many people to expect and invite your friends! Check out our Facebook page for details on our last two grape varietals to be picked! It will likely be Saturday, August 20th or 27th. https://saladowinery.com/wp-content/uploads/2016/08/harvest-2016.jpg 305 448 saladowine https://saladowinery.com/wp-content/uploads/2016/08/HeaderLogo_Color-1.png saladowine2016-08-01 17:49:562017-01-21 17:02:05Harvest 2016--UPDATED! Make your Instagram friends super jealous! 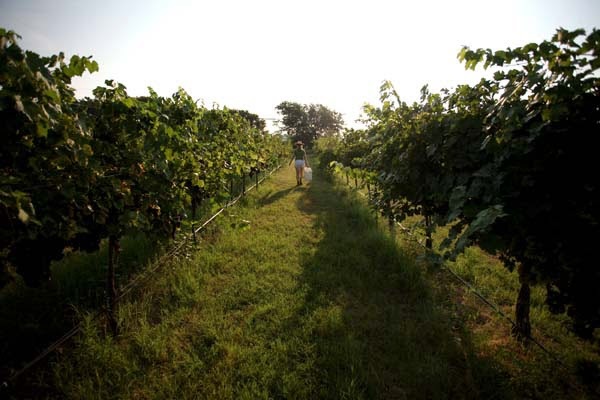 Come pick grapes with us at the Salado Winery Company vineyard. You can even eat some straight from the vine!